We're so happy to know our applicant numbers at the end of this great admissions season. We did well this year in terms of our applicant numbers. Total: 1084 students in D15 elementary schools applied for our incoming Grade 6 (class size of ~90 seats). Total: 950 applicants for our incoming Grade 9 (class size of ~102 seats). 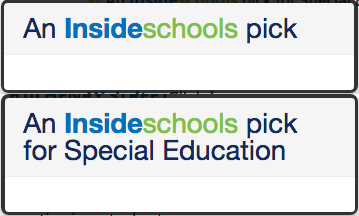 This data continues to show that we are an in-demand and competitive school option for both Grade 6 and 9. We look forward to final school matches in late spring 2019 so we can welcome in a new cohort of students and families to Brooklyn Collaborative!